As the name suggest...simply roasted nuts, nothing more. The grandest of fastachi's nut varieties mingle in this fanciful crowd to create a divine nut-tasting experience. As the name suggest...simply roasted nuts, nothing more. 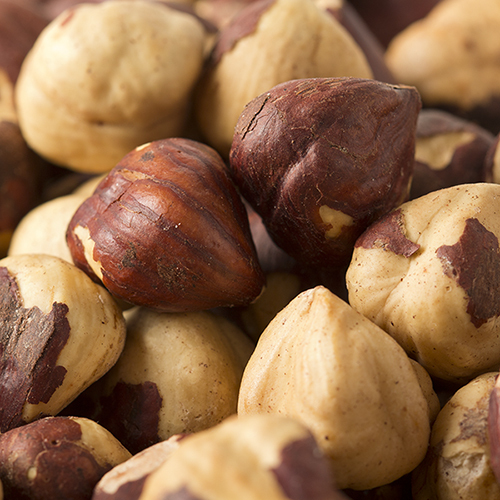 The grandest of fastachi's nut varieties mingle in this fanciful crowd to create a divine nut-tasting experience. 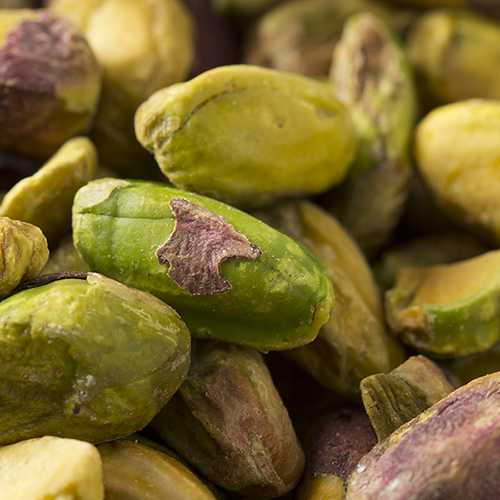 Cashews, pistachios, almonds and hazelnuts roasted to perfection without adding salt. NUTRITION FACTS: Serv. Size: about 1/4 cup (30g). Amount Per Serving: Calories 190, Fat Cal. 140, Total Fat 16g (25% DV), Sat Fat 1.5g (8% DV), Trans Fat 0g, Sodium 0mg (0% DV), Total Carb. 7g (2% DV), Fiber 3g (12% DV), Sugars 2g, Protein 6g, Calcium (4% DV), Iron (8% DV). Not a significant source of Cholest., Vitamin A or Vitamin C. Percent Daily Values (DV) are based on a 2,000 calorie diet. 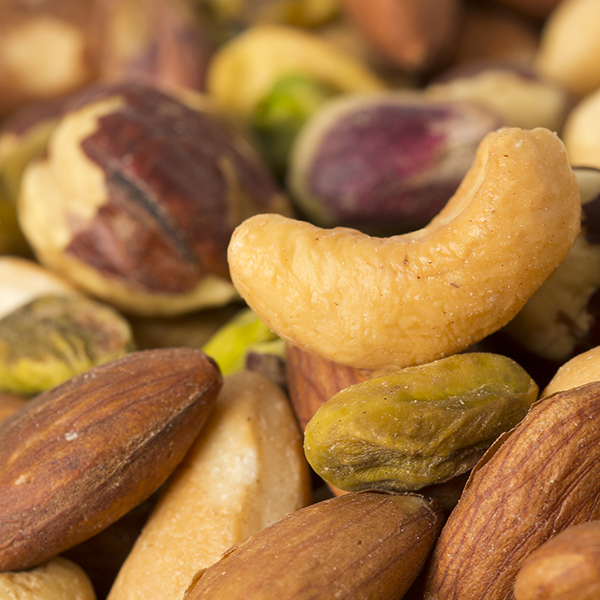 INGREDIENTS: ROASTED ALMONDS, ROASTED HAZELNUTS, ROASTED PISTACHIOS, ROASTED CASHEWS (CASHEWS, PEANUT OIL). May contain traces of salt. I have been shopping at this store since it first opened. I was perhaps one of the first customers. It is a great store with the highest quality merchandise. The nuts are fabulous, and the chocolates are also wonderful. The staff is always helpful. I just ordered online as I was away from home, it came quickly. I highly recommend this store. The nuts and dates that I purchased were given as gifts. The families who received them were pleased and said "everything is delicious'. I enjoy shopping at Fastachi's store and the nuts and fruits make great gifts. FRESH ### VERY TASTY !! I bought mixed nuts for my husband for Valentine's Day and they arrived fast and fresh! Delicious! After stopping in the the Fastachi store in Watertown, MA while visiting the area, I became hooked on many of their products. My favorite is the Simply Roasted Nut Mix, but everything I have tried is delicious and very fresh! 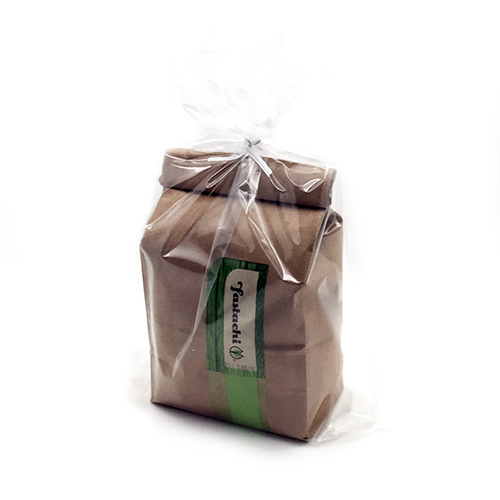 Fastachi's products are great for hostess and holiday gifts. Since I first tried Fastachi's nuts I can't eat any other! They are so much fresher and better tasting than any nuts you find anywhere else! My whole family noticed the difference and wanted to know where I had gotten them. Loved the idea of being able to send a simple roasted gift of nuts and knowing they would be amazing quality. This mix is the best of all nut mixes I've had ever. 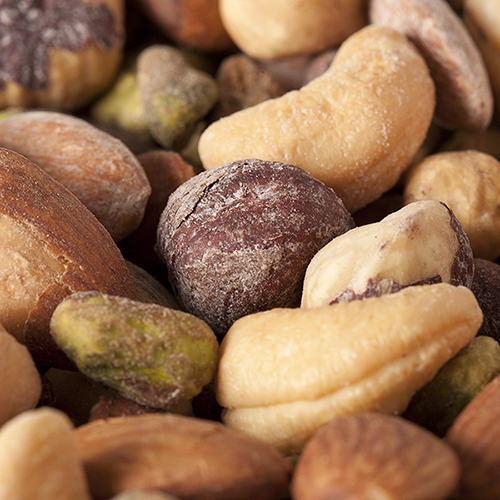 Just wish you could make some of your other nut mixes without salt. A fine mix, makes a fine gift. Excellent customer service.